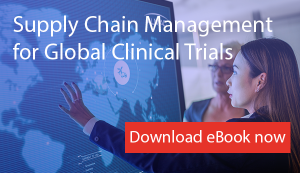 With the pharmaceutical industry in a state of change and the number of participating countries on the rise along with the added challenge of internal and external pressures such as budget reductions, time constraints and regulatory demands, Clinical Trial Supply Chain Management is becoming an increasingly complex task. In addition, Investigational Medicinal Products (IMPs) have become more sophisticated and specialised, increasing manufacturing costs and timelines, while reducing available drug supply. With the estimated cost to bring a new product to market soaring, the ability to make smart and accurate clinical supply chain management decisions becomes more critical every day. We have experienced consultants who can guide our customers to smart clinical supply chain decisions. Leveraging our experience with thousands of clinical trials, global physical infrastructure, and innovative technology solutions, our experts can assume ownership and decision making for the clinical supply chain from end to end, or complement the customer’s existing supply chain resources, making it a nice fit for just about any company. Customers can take advantage of Clinical Trial Supply Chain Management Consultants at our global Almac locations or embed these consultants within their own organisations as an extension of their internal supply teams. The increasing complexity of global clinical trials brings with it a need to consider the impact on Clinical Supply Chain Management. Download now.